Since 2006 the CEI Fellowship for Writers in Residence has been presented by the Central European Initiative in collaboration with the Slovene Writers’ Association, as part of the Vilenica Festival. The Fellowship seeks to encourage cross-border cooperation and promotion in the field of literature for young writers from Central European Initiative member states that are not members of the European Union. The Fellowship, which is endowed with a cash award of 5,000 EUR, is intended to be used for a three-month residence in any CEI member state of the candidate’s choice. During this period the author is expected to work on the project indicated in the application form. The recipient of the Central European Initiative Fellowship for the year 2018 is Maria Paula Erizanu from Moldova. Maria Paula Erizanu, born in 1992, is a Moldovan writer who is interested in the convergences between the personal and the political. She studied History and English at the New College of the Humanities, London, and did her MA in Journalism at City University. Her first book, This Is My First Revolution. Steal It(2010), is a non-fiction account of the Moldovan mass protests in April 2009 and received several prizes, including UNESCO’s ‘World’s Most Beautiful Production’ at Leipzig and the National Library in Moldova. She also published a poetry collection, entitled Take Care(2015). 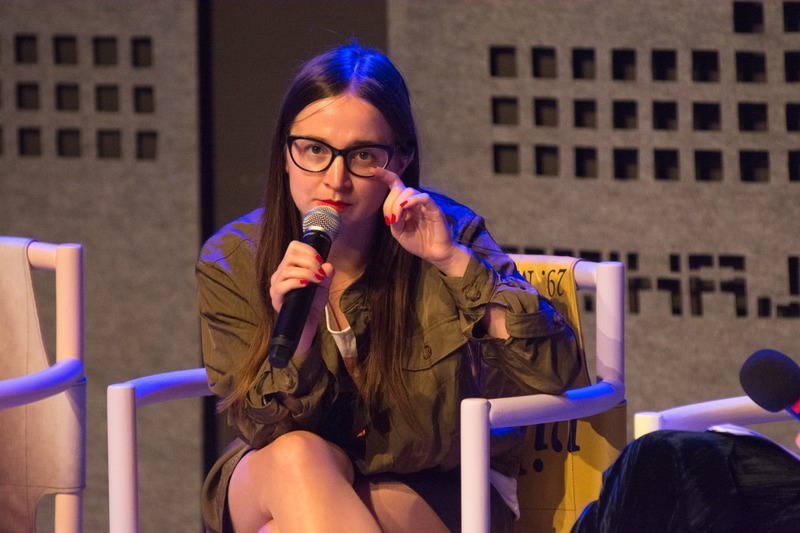 Dividing her time between London, Chisinau and Bucharest, she freelances for The Guardian, CNN, Aeon, Dazedin the UK, as well as for Scena9, Observator Culturaland Dilema Vechein Romania. Maria Paula Erizanu was educated in Moldova and the United Kingdom, and she currently lives between Chisinau, Bucharest and London, where she works as a freelance journalist and writer. Despite being one of the youngest applicants for the fellowship this year, she is a person with a wide range of cultural interests, and an engaged member of the post-socialist generation that is crossing borders and overcoming ideological divisions. Erizanu may be young, but she has already had a notable career: her first book, published when she was eighteen, was favourably received both by critics and the wider public, and received several noteworthy awards and nominations. The communicative discussion of a recent social issue (anti-corruption rallies in Moldova in April 2009) through the eyes of a seventeen-year-old girl led to many television and radio appearances for her; there she proved to be a thinker with great intellectual potential. Her book of poems, published in 2015, opened the doors to international festivals. She has proven her social engagement, initiative and writing skills in articles discussing a wide range of current issues for several prominent British, Moldovan and Romanian media, and in her self-assured public appearances. The proposed residency project – submitted under the working title The Red Line (since changed into The Woods Are Burning) and the author’s most ambitious work so far – convinced the jury with its satisfying definition and realistic concept, which testifies to the author’s careful consideration of the work she wishes to do during the three-month residency. Its polemic basis promises valuable writing about a social issue from a multi-generational and multicultural perspective. Erizanu’s work will address the links between the personal and the political, and touch upon several pressing issues in contemporary society. By presenting the tumultuous life of two revolutionaries – a Russian and a Polish pioneer of women’s rights, who later lived in Zurich and many other cities, and sexual liberation at the beginning of the 20thcentury – she seeks to critically explore the myth of romantic love, the intertwinement of class and sexual equality in Soviet feminism and the regional identity of East Europe. In her description of the project, the author demonstrates an oblique examination of contemporary society with historic parallels, with which she will strive to bring stories of Eastern Europe closer to a wider international audience; this attempt is facilitated by her intercultural work, multilingualism and intellectual awareness. As the project seems feasible and promising, the CEI jury is convinced that Maria-Paula Erizanu will be able to successfully combine her proven writing, journalistic and personal qualities. The jury hope that she will be select a residential environment that will enable her to exchange creative impulses, and wish her great resolve in pursuing her work.